1. 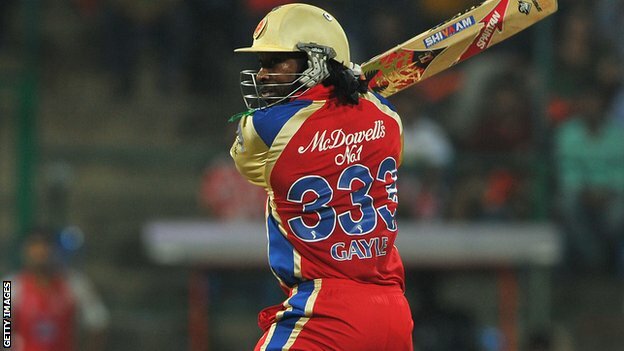 Gayle's jersey number is 333. 2. His highest Test score is 333. 3. A 30-ball century is a strike rate of 333. 4. His innings was interrupted by a 33-minute rain delay. 5. His opening partner, Dilshan scored 33. 6. Gayle is 33 years old.